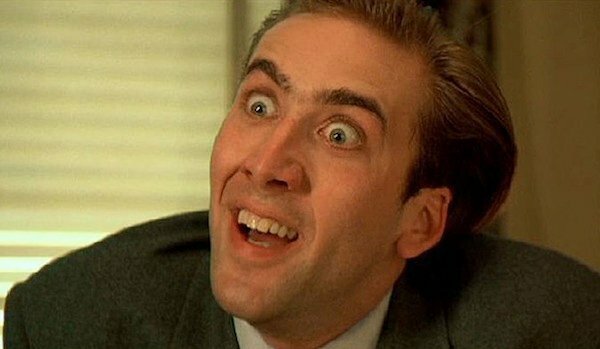 Nicolas Cage has been in a lot of movies over the course of his more than 30-year career. Some of them have been great, some of them fell just short of that, and others are straight up terrible. That said, he’s bound to have some personal favorites, and in a recent interview, he revealed four roles that are especially near and dear to his heart. That’s certainly an interesting variety of roles and films, some critically acclaimed, others less so, with one bona-fide cult classic in the mix. So lets take a closer look at each of them. When you put an out-there actor like Nicolas Cage together with a filmmaker like notorious German auteur Werner Herzog, you’re bound to get something interesting. Cage plays a manic, corrupt detective in the Big Easy coping with the aftermath of Hurricane Katrina. He dives into his character like a cracked-out Jimmy Stewart, and his performance harkens back to some of his riskiest roles. It toes the line of being too over the top, as he’s pasty, emaciated, and constantly sweating, but his drug-induced paranoia and delirium is not something you’ll soon forget. 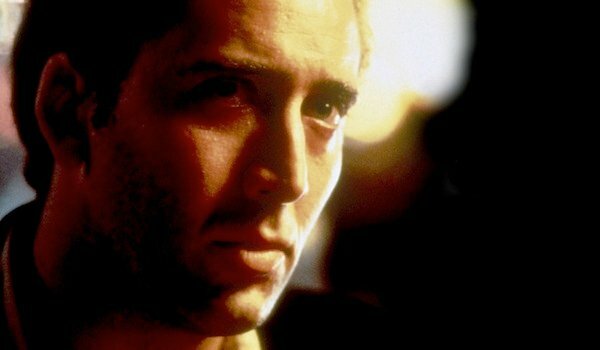 As the role that won Cage an Oscar, his turn in Leaving Las Vegas is, obviously, his most critically acclaimed. Cage plays an alcoholic screenwriter who has lost everything and ventures to Sin City to drink himself to death. He researched the role by binge drinking for two straight weeks and having a friend videotape him so he could analyze his speech patterns. His performance is deep and understated, which, for a career as full of bananas, gonzo turns as Nicolas Cage’s, makes it something of an anomaly. 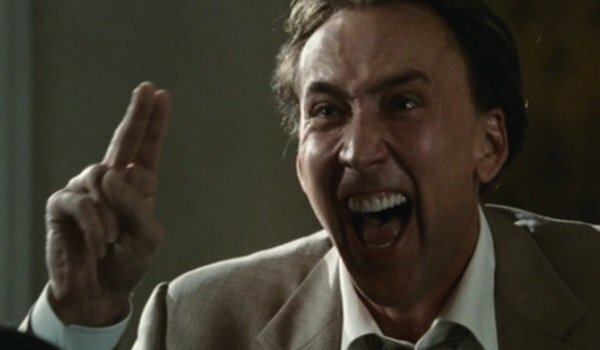 In 1989’s Vampire’s Kiss, Cage plays a literary agent who is gradually going insane. When he encounters a vampire, well, you can imagine how things go off the rails from there. If Leaving Las Vegas is his most subtle role, this is the polar opposite. This is Nicolas Cage cranked up all the way; chaotic and mad and absolutely bonkers. He’s deranged to the point that it can be legitimately disconcerting at times, and be dominates the black comedy, to both its benefit and detriment. 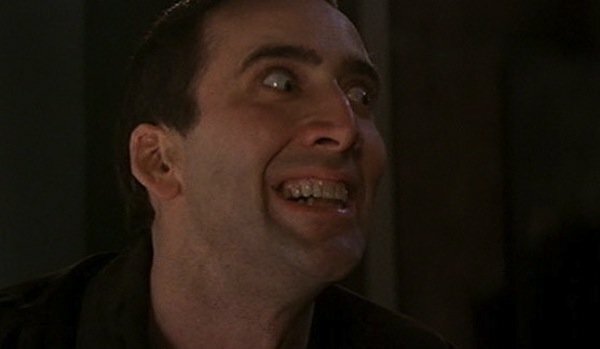 Easily Hong Kong action legend John Woo’s most successful American movie, Cage’s turn in Face/Off boggles the mind. At some point in the movie you realize that you’re watching Nicolas Cage play John Travolta playing a character pretending to be another character. Your perception of individual scenes constantly shifts as you dig through the layers of which actor is playing which character pretending to be which other character. And all of this craziness is wrapped up in a slick action vehicle that leaves you a lot to chew on.